The Haniyeh family health plan continues in Israel with the children of the Hamas leader still receiving priority treatment at Israel’s hospitals. One of his granddaughter’s was treated in an Israeli hospital last year while his mother-in-law was at a Jerusalem hospital in June. Now they are back, despite the Israeli media’s claim that “he may not have known” and that “Palestinian doctor requests for urgent care are often approved”, his granddaughter was admitted to a Tel Aviv hospital in October of 2014. Then on November 3 it was Mousa Abu Marzok’s sister. It is an update of a story I wrote about last year. 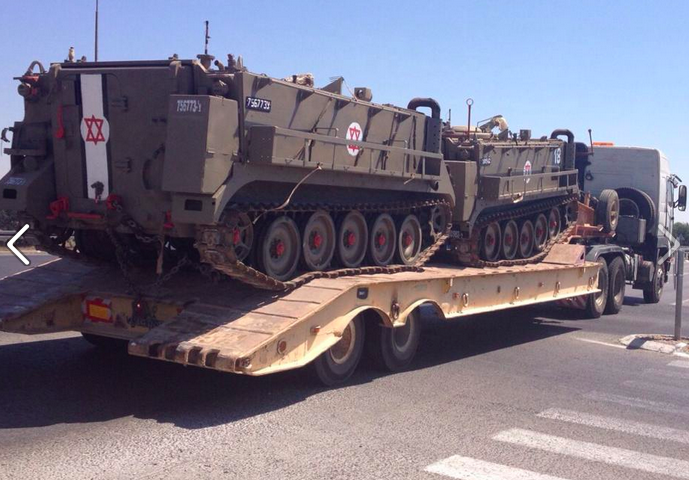 Israeli armored vehicles from the recent war, does Hamas get better health treatment than Israeli soldiers? But there is something off about this story, and others like it. The reports of Israel’s medical care for Palestinians, including Palestinians involved in violence against Israel, goes back many years. Alan Dershowitz highlighted it in his book The Case for Israel. The issue was later reiterated after the Boston Marathon bombing when stories emerged of the terrorist, Dzhokar Tsarneav, being treated in the same hospital and in close proximity to his victims. Several reports emerged of Israeli connections to the Bosten Beth Israel Deaconess Medical Center. There is something macabre in the Israeli media’s celebrating the fact that terrorists and victims are being treated in the same place, at the same time and with the same level of care. Even more disturbing perhaps is the odd self-congratulatory remarks about soldiers and terrorists being treated on adjacent beds. One almost gets the feeling that the medical personnel rush to treat terrorists. It seems shocking that one’s loved ones serving in the army suffer grievous bodily harm in the line of duty, but the state’s medical personnel don’t view them as in need of better medical care, but rather “equal” care. There is no medical ethic that mandates terrorists and soldiers be treated in the same place; US soldiers wounded in Afghanistan are flown to Landstuhl Medical Center near Ramstein air base in Germany; those wounded attacking them are not sitting next to them. And this “equality” of treatment story is actually a fabrication, anyway. The trumpeters of it will always claim that due to “medical ethics” all people must receive equal medical care. But does anyone think that the US president gets the exact same medical care as any other citizen? Does anyone honestly believe that leading figures even go to the same hospitals as ordinary citizens? Of course not. But a little honesty can go a long way. Dr. Richard Wolfe, an ER doctor who was on the scene when the Boston bomber was brought in, told The Daily Mail, “They [the nurses] look on the perpetrator as someone absolutely horrible and ask themselves, ‘What have we done? We just saved him.’” Wolfe gets points for honesty. Yes, sometimes terrorism puts hospitals in an odd bind, but there is no reason to be self-congratulatory about shoving terrorists into a bed next to soldiers and treating them both equally. Because we know as a society they are not equal, and if doctors can’t figure that out then some brainwashing about “ethics” has harmed their moral compass. IT IS in a similar vein that the Haniyeh story should be confronted. Some people have said that to deny his granddaughter medical treatment that could save her life would be wrong. This is probably accurate. However, getting medical treatment for those in Gaza is difficult and involves a circuitous bureaucratic process; the question is whether his relative got better treatment, in fact was put at the head of the line, simply because she had the name “Haniyeh.” If the name Haniyeh opened doors to special treatment in Israel; treatment denied others, then it isn’t about equality, it is about special treatment for the prime minister of Hamas in Gaza. 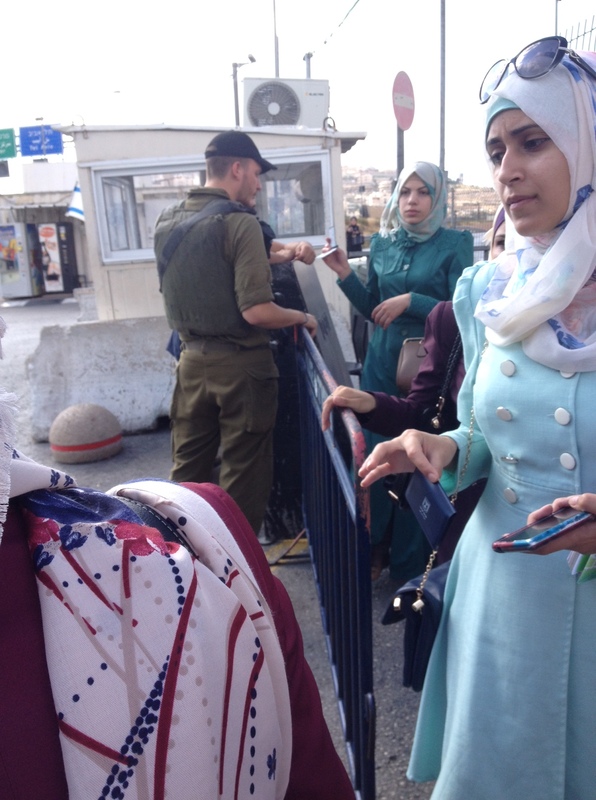 And there are other questions: If she had an acute medical condition, was Israel the best place to treat her? Yasser Arafat was flown to Europe in his last days. Perhaps she should have been transported to an EU country, Turkey, Qatar, or Saudi, all places with first-class medical care, and perhaps better placed than Israel to give her aid. What do we know about the channels Haniyeh went through to get her sent “over the Green Line” as he put it – since in his worldview there is no Israel. Did he consult with the Egyptians, or the Saudis, where he went on Haj in 2007? In the end this whole issue should lead us to question basic assumptions about how the medical aid narrative works and who it serves. Yes, hospitals should be color blind and, we would hope, financially blind, in terms of treatment. But there is no law that says just because someone happens to be at war with you, you owe special treatment to their relatives.